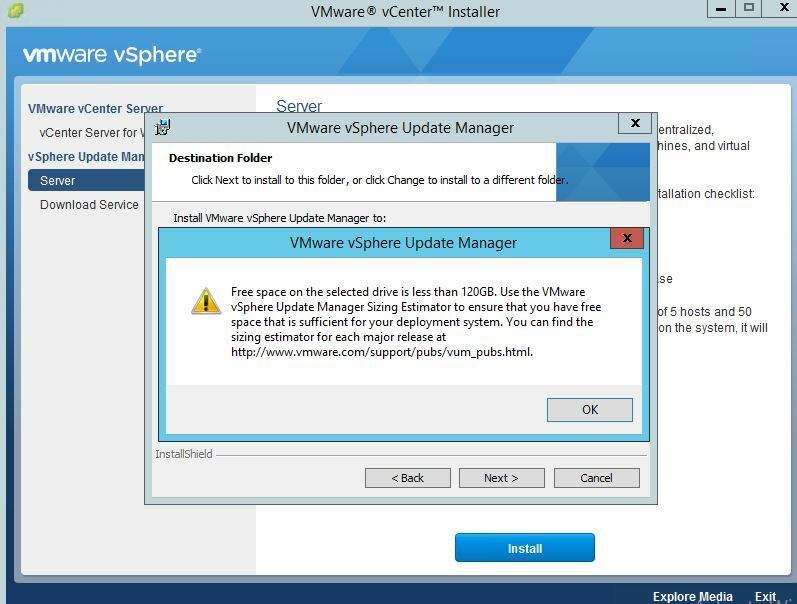 VMware Update Manager provides centralised patch and version management for ESXi hosts, virtual machines, and virtual appliances. 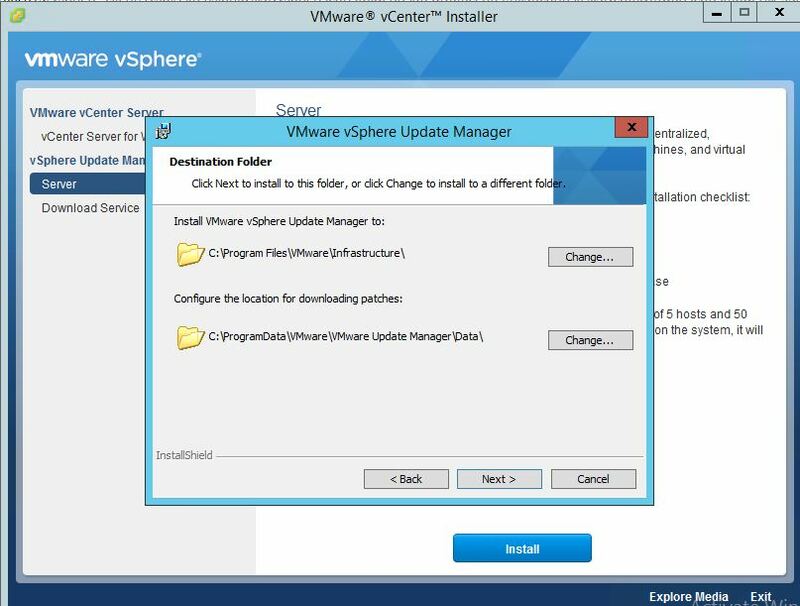 Update Manager can be used to upgrade and patch ESXi hosts, install and update third-party software on hosts, upgrade virtual machine hardware, VMware Tools, and virtual appliances. 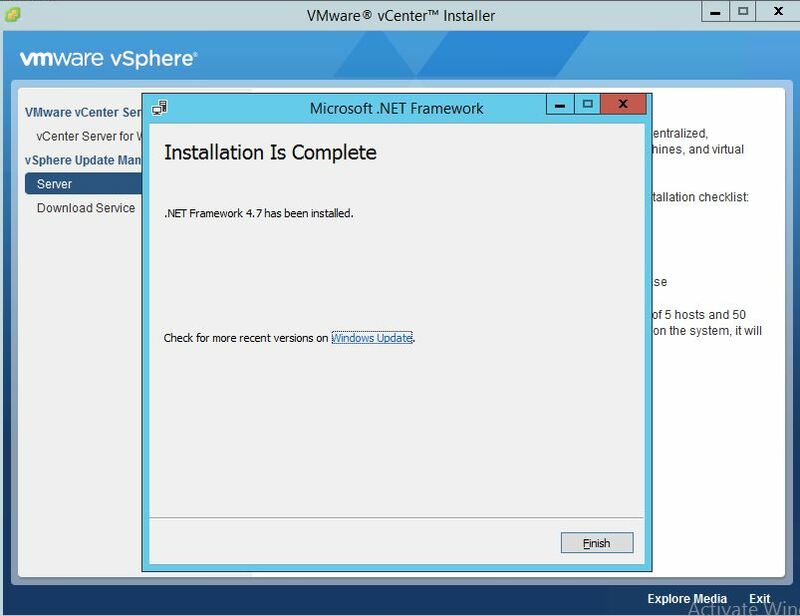 This guide will cover the installation of VMware Update Manager 6.5 on Windows Server 2016. For more information on Update Manager performance and best practises, or for implementing an advanced topology in a large environment, see vSphere 6.5 Update Manager Performance and Best Practices . It’s possible to use different Update Manager deployment models in different cases, depending on the size of your system. vCenter Server and Update Manager server are installed on one host and their database instances are on the same host. This model is most reliable when your system is relatively small. Update Manager 6.5 requires Windows Server 2008 SP2 64-bit or later. VMware recommend at least 120 GB of free space on the drive where the patching repository will be stored. Download the VMware vCenter Server and modules for Windows VMware Downloads; this includes VMware Update Manager 6.5. Mount the ISO and run autorun.exe from the mounted drive . Note:- Use Run as administrator in case if if any error shows related access privilege . 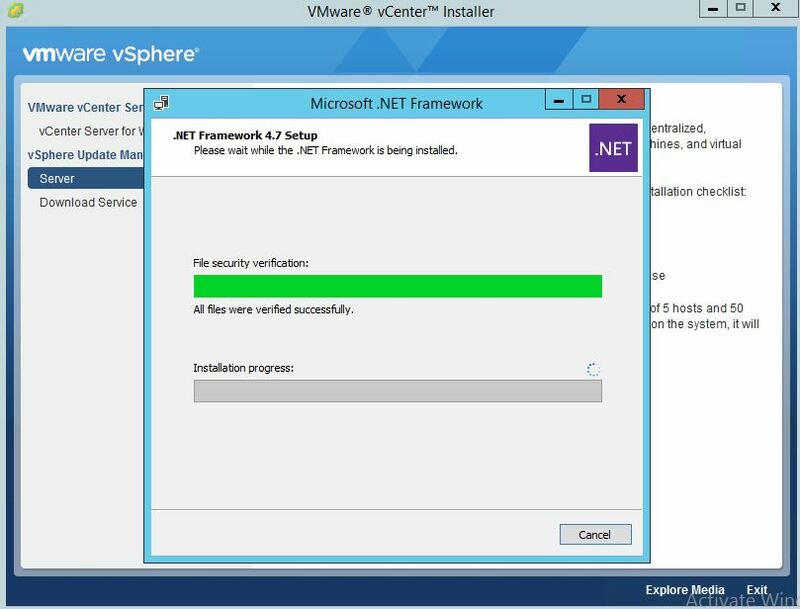 Select Server under the vSphere Update Manager menu and tick the option Use Microsoft SQL Server 2012 express embedded database to include the Microsoft SQL Server 2012 Express installation and Microsoft .Net Framwork 4.7 incase it is not installed already and Click Install. Note : Do not select this box if you want to use an external database. 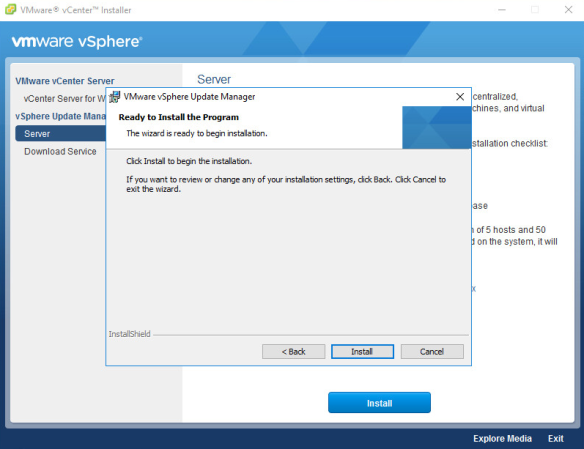 Select the installation language and click Ok, then click Next to begin the install wizard. Enter the information for the vCenter Server and click Next. Note :- For external database select the Data Source Name for the database and click Next. Select host name or IP of the vCenter to accept the default ports and configure a proxy server if required, then click Next. Review the default installation locations, change if necessary, and click Next. There will be a popup of warning for Installation destination has less than 120 GB of available space , click Ok to continue. The installation progress status bar will be displayed. Once installation is complete click Finish. 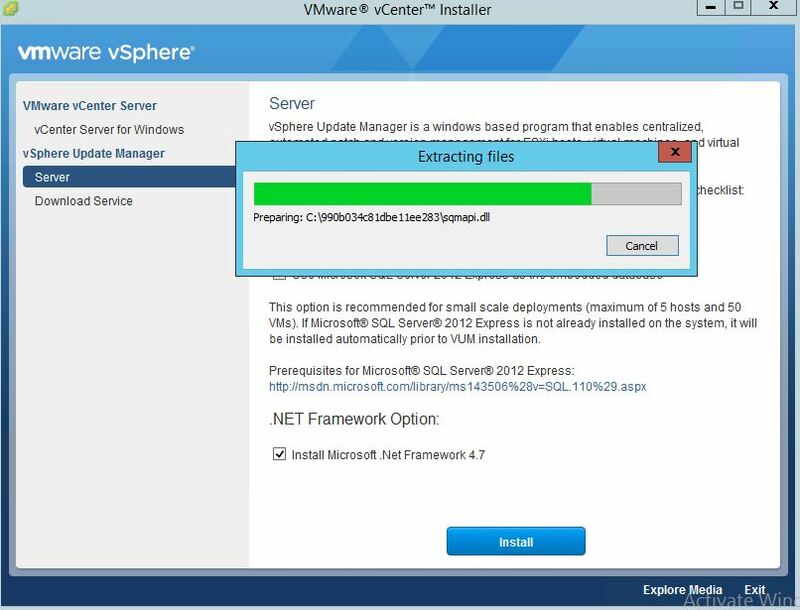 Note: Only VMware vSphere 6.7 brings vSphere Update Manager (VUM) accessible with H5 client (HTML5 web client). Not everything is covered, not all functions made it in. But VMware is working on it, to incorporate those features as fast as possible.